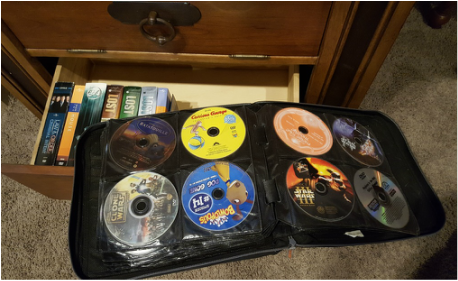 We keep a few DVDs in the drawer under the TV peripheral drop down drawer. We have some TV series in boxed sets and also a binder of family movies. Please feel free to use them while you stay with us but please leave them for our future guests to enjoy.